When I'm not peering at the pulsating pixels of my television set and guffawing at the funny faces Greg Wallace pulls in front of the camera on Masterchef, you can usually find me immersed in my day job, meeting and working with all kinds of people in the world of design. I spend a great deal of my time advocating and promoting the best of British design today. So it is with great delight that I'm able to combine both pleasures with the BFI's rather lovely second volume of Central Office of Information films (COI) - COI Collection Volume 2: Design For Today. They are all about British design and span the pre-war and post war development of British creativity and entrepreneurship in the fields of architecture, interior design and fashion. Established in 1946, the COI was a successor to the wartime Ministry of Information and was responsible for producing thousands of films that celebrated Britain, its people and their achievements. The COI film collection is preserved by the BFI National Archive in collaboration with COI and The National Archives. Many well known British film directors cut their teeth on short films produced for the COI and, for example, this collection contains some early works by Peter Greenaway and Hugh Hudson. This is a fascinating collection of some very rarely seen material and it traces the developments in British design from the mid 1940s through to the 1980s, not only describing how design positively fuelled Britain's emergence from the shadow of war and the innovations of the late 1950s and early 1960s that bred an appetite for British design that would travel the world but also how British tastes matured hand in hand with a specific sensitivity to style. The first film Designing Women, from 1947, is more to do with taste and style and how to cultivate it rather than examining the ideas behind particular objects or fashions. The arbiters of a newly wed couple's consternation about styling their home are Miss Design and Miss Arty. Miss Arty offers us the legendary Joyce Grenfell in one of her sweet little character parts whose idea of flair is to clutter the home with ill-matched and impractical bric-a-brac. Miss Design is on hand to advise the couple of that great dictum 'form follows function' to avoid possessing and using horribly designed tea services and to manage space and unfussy furnishings in the home as practically as you can. Designed In Britain is a gorgeously colourful and kaleidoscopic journey through the best of British design from 1959. There is no narrative, only a barage of visuals depicting everything from furniture, ceramics, glass through to curtains, fabrics and domestic appliances. What strikes you about the film is that is still not the 1960s and the pop aesthetic has yet to emerge. 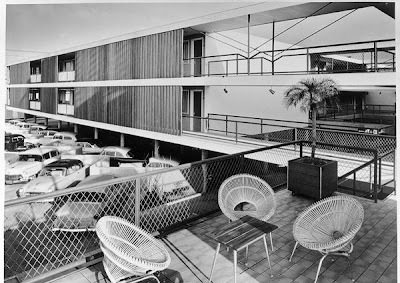 It's a film essay that clearly depicts how, during the post-war period , the centres of the design world had shifted from Germany and France to the United States, Italy and Scandinavia. British design is seen here bursting with their modernist influence, where form still must follow function and pattern is sober and the Scandinavian characteristics of elegance and function in domestic products and the tradition of light, open and ordered aesthetics, of clean lines and comfort, dominate the film. One of the pluses of the DVD is that you can watch the film either with the original jazzy Ken Moule soundtrack or with an alternate suite of electronic music, heavily influenced by Kraftwerk I feel, composed by Saint Etienne. There's an equally fascinating film of Hugh Casson and Observer journalist Patrick O'Donovan waxing lyrical about the 1951 Festival Of Britain. Brief City explores the Festival's layout, temporary and permanent sites, the concepts and inspirations behind the many pavilions and public areas that fleetingly occupied the South Bank that year, including the Skylon, the Royal Festival Hall and the Dome of Discovery. It's nostalgic, celebratory and full of pride at what was achieved and shows the British public's keeness to embrace the new and the modern, to slough off the drab, grey overcoat of post-war society and forge ahead with creating a better society and one that harnessed the cultural and economic power of design. Design For Today, made by Hugh Hudson, is in a similar vein to Designed In Britain but this is instead a catalogue of 1960s pop sophistication. Made in 1965 it clearly ushers in the pop aesthetic where design values need not be universal and stick to a singular modernist theory but instead can offer design that is individual, throwaway, casual and ephemeral. Product design moves away from formal values and concentrates on the needs and desires of the consumer. Again, you have the option of watching this with a newly commissioned and rather lovely Saint Etienne electronic score. This is followed by two films on architectural design. 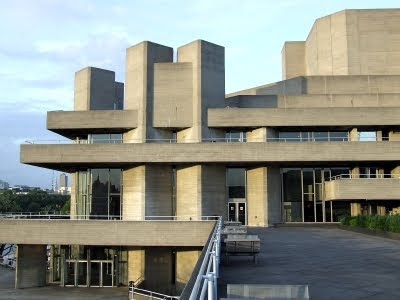 One is This Week in Britain 615: The National Theatre which sees a rather clueless reporter attempting to interview Sir Denys Lasdun about the proposed design for the Royal National Theatre on the South Bank. Lasdun, rather like his peer Sir Basil Spence, created modernist buildings in the late 1960s and early 1970s that were to become rather divisive. Here, he gives us a conducted tour of the model for the new theatre buildings infamously described by Prince Charles as "a clever way of building a nuclear power station in the middle of London without anyone objecting". Personally, I have always had a soft spot for the futuristic looking National Theatre complex. 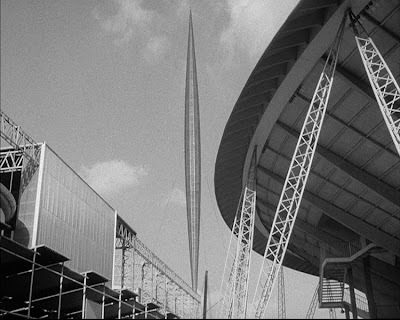 Spence is the subject of a rather neat film The Pacemakers: Basil Spence (1973) as he very eruditely explains the concepts and ideas behind his work, particularly focusing on the campus design of Sussex University, the British Embassy in Rome, Hyde Park Barracks and Coventry Cathedral. He was himself no stranger to controversy with many of his buildings criticised as examples of what was wrong with architecture of the late 1960s. The Barracks itself was described as one of the top ten architectural eyesores in Britain by Country Life. Disc One is completed with Peter Greenaway's striking profile, complete with strident Nyman soundtrack, of Sir Terence Conran from 1981 Insight: Terence Conran which briefly covers the growth of the Conran and Habitat empire and the establishment of the FSC-certified wood furniture maker Benchmark. It also looks at his international interior design commissions. Disc Two is about fashion. It opens with a very amusing retrospective of women's fashions Sixty Years of Fashion (1960) over (surprisingly enough) a period of sixty years, covering the corsets and bustles of Victorian and Edwardian design, the tube like dresses of the 1920s through to a rather hilarious parade of 1960s fashions modelled against a backdrop of typically 1960s architecture. This is followed by what looks like a promotional film Miniskirts Make Money (1968) for Lady Jane of Carnaby Street as various young ladies model a wide variety of mini-skirts inter-cut with shots of said skirts being popped into Lady Jane carrier bags. Much more interesting is a short profile of Barbara Hulanicki and her husband Stephen Fitz-Simon as The Pacemakers: Biba (1970) looks behind the scenes at the legendary Biba emporium on Kensington High Street (once hailed in the Sunday Times as 'the most beautiful store in the world'). 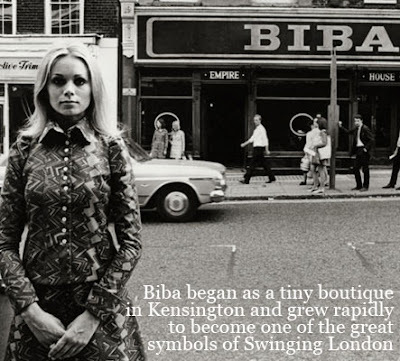 Biba symbolised the fashion and style of the early 1970s and Hulanicki and Fitz-Simon reveal the long hours and meticulous planning that goes into keeping the store running and in producing new designs. The Country Look (1971) is a short film with lots of well to do, square jawed men and pretty women, clad in tweed, leather and knitwear pottering about their country cottages and laughing like drains in the local pub. The funniest item is This Week in Britain: Men's Fashions (1973) and the Spanish version (this time in full colour) which sums up what was wrong entirely with so called glam fashion for men. Floppy silk shirts, huge platform shoes and mustard coloured suits are all on display on the back of a flat bed truck as four models disco dance down the high street all threatening to fall head first into the gutter. No wonder the reports are bemused. It does afford us the first of two glimpses into the world of tailoring according to Tommy Nutter who seems to think a black, grey and white striped, huge lapeled suit makes him look good. Two further editions of This Week In Britain follow - a profile on the influential Mary Quant and a further exploration of Savile Row tailoring (Tommy Nutter again showing that Savile Row is moving with the times) - but the second highlight is a wonderful Peter Greenaway film Insight: Zandra Rhodes (1981). Greenaway brilliantly captures this individual and maverick talent, bursting with ideas and concepts and explores the exotic nature of her clothes and personality. A little treat. Alas, the collection grinds to a halt with A Woman's Place: The ImageMakers (1985) with likes of Katherine Hamnett, Issey Miyake and PR guru Lynn Franks trying to reasonably debate the divide between fashion and art, commerciality and exclusivity but suffering from an extremely lethargic pace instigated by the director and a great deal of that 1980s pretentiousness that went hand in glove with the 'me' decade. Overall a fascinating collection of films for those of us interested in how design has shaped our culture and environment since the early 1950s. 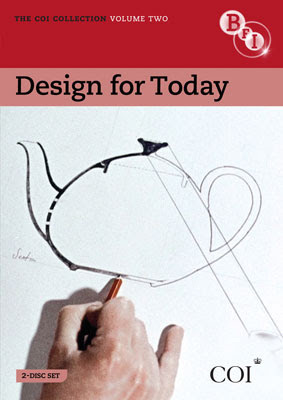 It comes with a thoroughly comprehensive booklet full of notes and essays about each film and Hugh Hudson's recollections about making Design for Today. Highly recommended. Indeed, the modernism of 1960s and 1970s architecture is often unfairly singled out by critics. There are a lot of highly praised buildings designed in the last ten years that quite frankly will never see Grade II listing.